S.E.A.L. Security Academy is approved and fully licensed by the Texas Department of Public Safety-Regulatory Services Division Private Security Bureau (PSB). Our core classes meet and exceed state requirements for the instruction and licensing of security professionals in the state of Texas. Our course certificates are accepted by the state of Texas, and with every licensed private security agency in the state. S.E.A.L. Security Academy offers Texas PSB Level II and Level III Security Officer classes, which teach the required basics for State certification. All S.E.A.L. 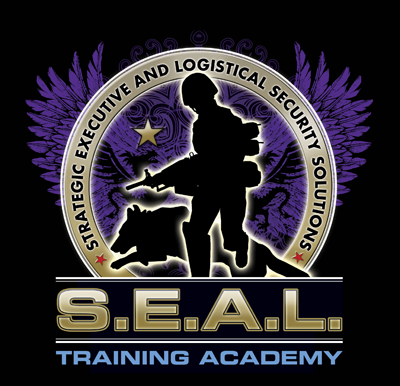 Security Academy instructors have real-world security and law enforcement experience. Our instructors are not just “book-smart,” they are “street-smart” with their own personal experiences. Our instructors combine actual field experience with the lesson plans in order to provide students with a better understanding of the training. The TX PSB Level II course is a 6 hour course that is mandatory for everyone who wants a career in private security in Texas. Students who complete this course will be provided with the basic certification (to be submitted and approved by the State) to be able to work legally as an unarmed security officer in the State of Texas. Our Level III courses include course materials (yours to keep), range fees and shotgun qualification (these cost extra at most other schools). The only additional cost is handgun ammunition. S.E.A.L. will supply the shotgun and shotgun ammunition. Loaner handguns are available if needed. However, we highly recommend you use your own handgun (we suggest at least a .38 Caliber revolver or at least a 9 MM semiautomatic) so you will train in class with your own duty weapon. Always train with the weapon you will be using whenever possible.